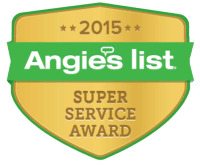 Searching for termite pest control Frisco TX tips that will save you money? Good thing, because even though termites are silent and hardly ever noticed they cost American homeowners over $5 billion in damages every single year. Discovering termites in your home often comes with a devastating cost. To add insult to injury, the damages that termites cost homeowners are most often not covered by insurance. So that means this $5 billion number is primarily out-of-pocket costs by homeowners. Termite pest control Frisco TX is such a hot topic because of the fact that it has a sub tropic, humid climate. The state has mild winters long hot summers, which provide the perfect conditions for termites to breed and flourish. Termites, like other insects, rodents, and pests find their way into the homes of people as Texans dwell among nature, develop raw land and invade the natural habitat of creatures. Seeking food and shelter, termites often find their way into the homes of individuals, thus the huge need for termite pest control in Frisco, Texas. When this happens, you can begin racking up costs of damage without ever noticing it. You may be wondering how termites get into a home in the first place. just as there is more than one way to skin a cat with everything in life, termites find their way into homes many ways. They can get in through your foundation by making their way across the yard. They look for entry points that include openings around wires and pipes, gaps and cracks that may exist in your home. damn soil that lies alongside foundation of your house, which may come from leaky faucets, gutters, etc. So you want to be sure to check the perimeter of your house often, monitor the condition of your lawn, and ensure you are not providing a safe haven for termites and other common pests. As you know, termites cost billions of dollars in damages each year. This is because regardless of the way your house is built, the wood that it’s constructed with is the main food source of termites. This is what termites are called silent destroyers, because they eat away at the value of your home in complete silence. Here are three tips on how to save money on termite control. Tip #1: Get Regular Termite Inspections. Having regular inspections can make a big difference. Termite damage can cost upwards of $4,000, while a simple inspection may only be $150. However, if you want to do a self inspection, there are ways to do this also. There are several different types of termites that cost homeowners problems. First, let’s look at another few things to know about the anatomy of termites. Wings: two pairs of flying wings are found on reproductive termites, most often. Size: termites usually measure around one fourth of an inch to one half of an inch in length. Nevertheless, kings and queens can grow to well over an inch long. Choose to get a pretreatment on a new home, whether you�re buying or building. A pretreatment will help your home to be more termite-proof and avoid future damage. Pre-treatment will also cost less than any post-treatment inflicted by termite damage. There are several warning signs you can look for to determine whether you have a termite problem or not. Termites are quiet and can do serious damage before anyone notices. Keep firewood away from your house, and throw out rotting wood. Termites feed on cellulose based plant material that is found in wood � which is what your home is made of. 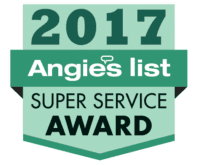 As you consider termite pest control Frisco TX providers, you should find a company that is highly rated by fellow Frisco neighbors. 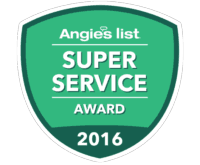 Safe Pro Pest Control has been voted #1 by DFW residents on Angie�s List the last 8 years and counting. Always remember to fight off termites before they come to you! Call Safe Pro Pest for more information on termite pest control today at 972-435-0700.